Forest Lodge Resort is a quiet, secluded and stunning property which is located conveniently on the edge of Pemberton township. Close to all local amenities, check it out on Tripadvisor. 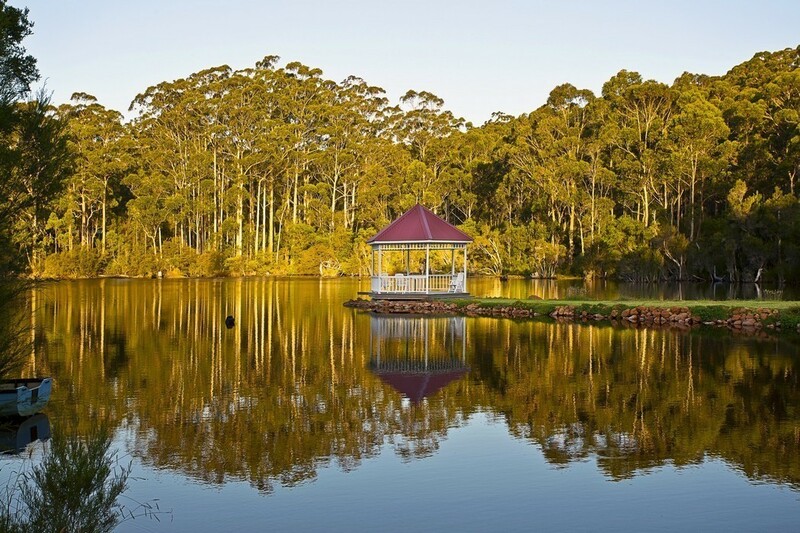 It is one of the most attractive settings in the district, with beautiful landscaped lawn and gardens, ideal for an intimate garden ceremony with a Karri forest backdrop. The charming gazebo on the lake is a photographer's dream and consequently we are a popular venue for small weddings and other functions. The restuarant is only bookable for group/function events for evening meals. We offer a variety of accommodation; including guest rooms, studio units and self-contained chalets to suit everyone from couples, families, corporate travellers, to bus tours and club getaways. Our breakfast room overlooks the lake and is very popular with bird lovers, and our local resident kangaroos that graze on the property most mornings and evenings. Each morning we feed the main birds that live around the gardens: Western Rosellas, Splendid Fairy Wrens, Yellow Ringneck Parrots and Firetail Finches to name a few. Relax at Forest Lodge Resort, it's the perfect choice for a peaceful getaway. We invite you to immerse yourself in a relaxing ambience where gracious service and comfort are our commitment to you. Direct walking trail to Gloucester Tree from property (1km).